Our goal at Sixth Grade Camp is for your students to experience Jesus through the wonder of His creation. Through our curriculum, based on the same science standards you are teaching in your classes, our desire is to demonstrate the power, creativity, and intelligence with which Jesus created the universe as well as to teach your students how God uses science to reveal Himself. Our classes are designed to broaden your students' perspective and encourage them to think critically about the world they live in. Students will attend daily Barn Meetings in which they are taught spiritual principles through our farmyard animals as well as daily devotion time with their counselors to grow their faith. On the final full day of camp, your students will be challenged to apply what they have learned through hands-on-activities on a survival hike. 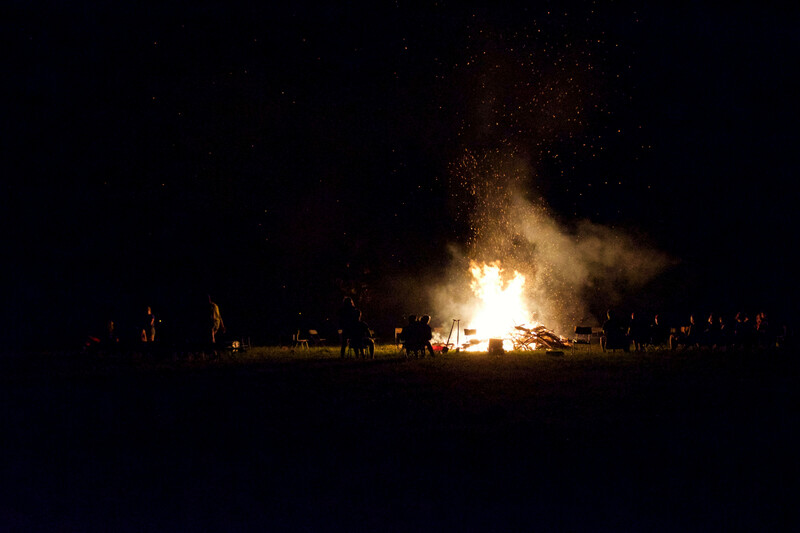 The week of camp culminates in a campfire on the final night in which your students will be given the opportunity to reflect on and share how they see Jesus differently than they ever have before. "For since the creation of the world God's invisible qualities, His eternal power and divine nature, have been been clearly seen, being understood from what has been made, so that men are without excuse." Students will learn how God equipped them to use their physical senses to be aware of the world around them. We will discuss the importance of physical awareness to survival as well as how physical awareness and deepen our spiritual awareness. Throughout the week, students will be challenged to take their eyes off of themselves so they can see God and others more clearly. Students will learn the basics of an ecosystem. We will discuss the critical role each organism plays in relationship with one another and how God thoughtfully designed organisms to live together to perfectly provide everything the ecosystem needs to survive. Students will learn what their role is in an ecosystem and their responsibility as stewards of God's creation. Students will learn how God designed organisms to adapt to their changing surroundings. As environments change, animals, plants and other organisms have the ability to adjust their behavior or physical appearance to adapt to survive, demonstrating how intricately designed God's creation is. Students will learn about the ecosystem of an oak tree. We will discuss how God designed all of the organisms that live in and around oak trees specifically to interact with each other. Students will investigate the main three types of oak tree that grow in the California Chaparral, learning to identify them based on their bark, leaves and acorns. Students will learn about the main types of rattlesnakes found in San Diego County, and how to identify them. We will discuss how pit vipers strike and how their venom works. Students will also learn basic outdoor safety in areas where snakes can be found and what to do in the event of a snake bite. Students will learn the basic human needs for survival and how ancient civilizations would have supplied these needs. In particular, we will discuss the Kumeyaay people who lived in Southern California and what they did to survive. We will discuss the idea of stewardship and how we can efficiently use, without exploiting, the resources God has given His people. In this special evening presentation, students will learn about the components with which God has constructed the universe. They will learn about the vast immensity of space, revealing to them a glimpse of how big our God is. Our goal is to wow the students with the intelligence, creativity and power of the God who created the universe and them. On the last full day of camp, students will apply what they have learned on an all afternoon adventure. They will go on an instructional hike in which they learn about the native plants and their uses for outdoor survival. They will practice building shelter and a solar still to collect water. Students will also learn the key components to making a fire and heat their lunch on a fire they make with their cabin group. Check our activities page to learn more about these activities. If you are a teacher or administrator interested in bringing your 6th graders to IHC CLICK HERE . We hope to see you soon! Is your son or daughter attending 6th Grade Camp this fall? CLICK HERE for our What To Bring List or to learn more about our program. For children already coming to camp, you will be receiving a special link or code from your school that will allow you to register your camper. If you have already registered, click the button below to access your account. Click button or scroll below to see upcoming Sixth Grade Camp dates! Learn more and see what it costs to be a part of Sixth Grade Camp. Please note 2018-2019 school year pricing subject to change. Not sure what to expect and how to prepare?